Circus Circus Hotel Casino – clowns, jugglers, lion tamers, acrobats, ringmaster. Hang fuzzy dice with lots of black and red balloons everywhere. Spray paint statues and things that create that rich feel. Boxes of any size can be spray painted white with black dots to be stacked for dice decorations. Poster board can be cut and decorated as playing cards to be put on the walls. Shiny borders can be hung on the walls and can be bought at party supply stores. While decorating, think shiny, big, almost gaudy. Put green felt, bought at craft stores, over tables as table cloths in the game room. Glitter on the tables would give everything some shimmer and can be purchased in shapes of poker chips, playing cards, etc. If the host is feeling really into the Las Vegas spirit he or she might want to decorate different rooms, or the whole house, as one, or numerous, well-known casino themes. One room could be Egyptian themed for the Luxor, Italian themed for the Bellagio, and, of course, Ancient Greece themed for Caesar’s Palace. The music when people are arriving could be old Vegas artists like Frank Sinatra/Rat Pack music, Michael Buble and jazz. When the evening starts into the swing of things the music could transition into either dance music or themed Vegas artists; think Neil Diamond, Celine Dion, Elton John, etc. And, of course, don’t forget Elvis! Another idea for desserts is a chocolate fountain. The host could cut up pieces of fruits, chunks of cookies or anything else that can be dipped. Shake until ice cold and serve in a deep champagne goblet or martini glass with a large, thin slice of lemon peel. 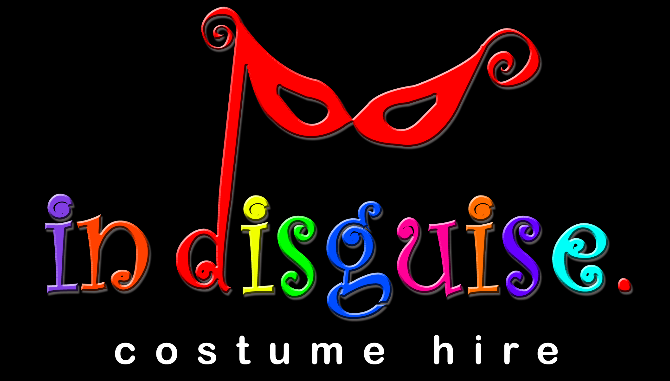 In Disguise hires fancy dress costumes and mascots, makes costumes to order, offers party planning advice, and sells a small selection of accessories, costumes and masks. In Disguise has been serving Porirua and the Wellington region with costume hire since 2007 and have an extensive range of costumes, accessories, boots, shoes and wigs. Guaranteeing you personalized service, In Disguise operates on an appointment only basis. Locally owned and operated we pride ourselves on achieving the look you want for your event. Come see us for your next event!